My beloved Rosie passed away this week. She would have been 14 years old in October. We took a trip to Montana for my 30th high school reunion in August and took the dogs with us. Rosie didn’t react well while traveling, so we took her to the vet in Helena, where she was diagnosed with stage 5 lymphoma. 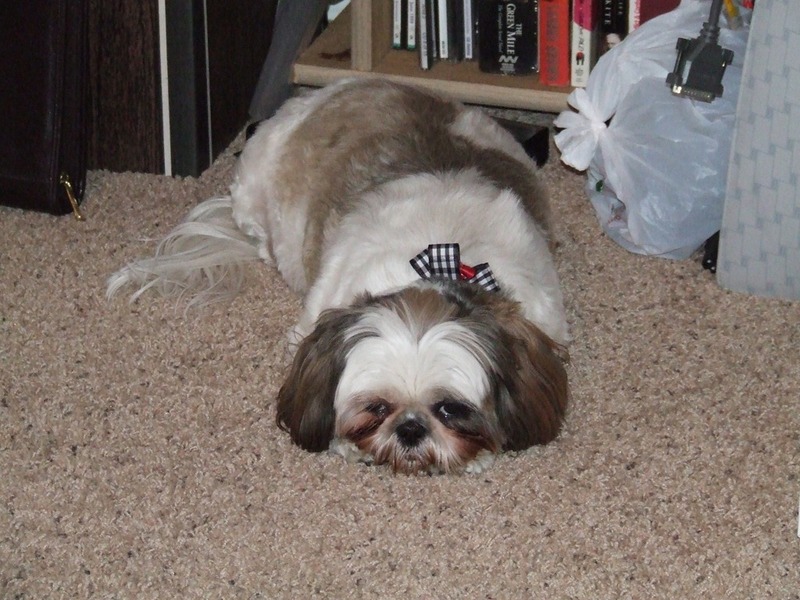 We decided to put her on prednisone to try to make her more comfortable in the time she had left. 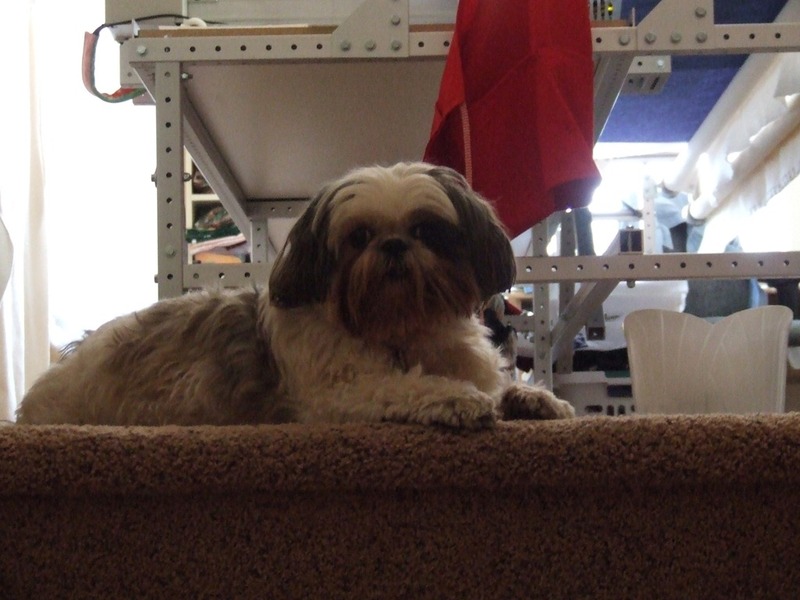 Rosie liked to come up to the quilting room and lie at the top of the stairs, making sure that all who entered there had to pass inspection. She was quite the character. She knew how to get something she wanted by using her “I’m a cute puppy” look. She could also look at my husband with one adoring eye, and give me the stink eye out of the other…all at the same time! It was quite comical! 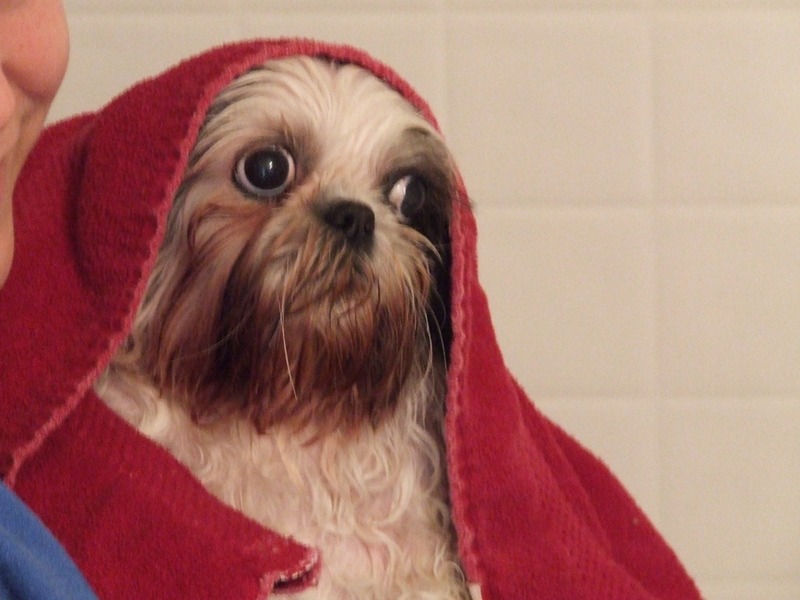 Rosie didn’t mind bath time, but she’d just as soon it didn’t drag out, either. Rosie always kept us company no matter where we were in the house, and she is greatly missed. 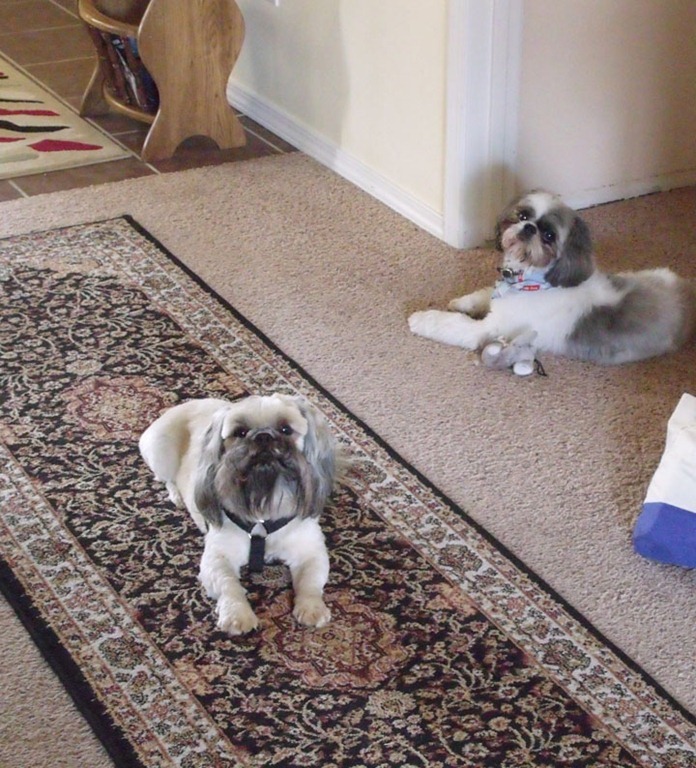 This entry was posted in Quilt Guardians, Rosie, Shih Tzu and tagged Quilt Guardians, Rosie, Shih Tzu. Thought I’d share with you my practice freehand piece, which is two pieces of fleece, no batting. I’m going to use it as a back car seat blanket for when I have the dogs in the car. It’s the first time I’ve done this background fill on more than a 12″ block and it’s the first time I’ve used the non-stitch regulated mode on my machine. I want to say it’s an Irena Blum design, but I really can’t remember where I saw it first. I’m practicing it because I’m going to put this design on a baby quilt that is just darling, and I wasn’t sure how it was going to turn out, or how to manage the size and density (that’s still a bit of a challenge), but I really like it! 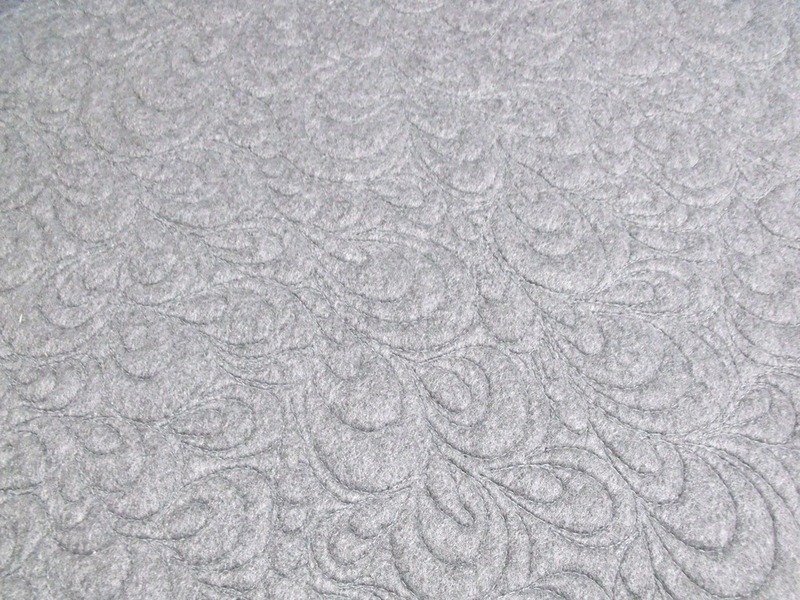 I still need to post photos of the past couple of customer quilts, but have run out of time this weekend. 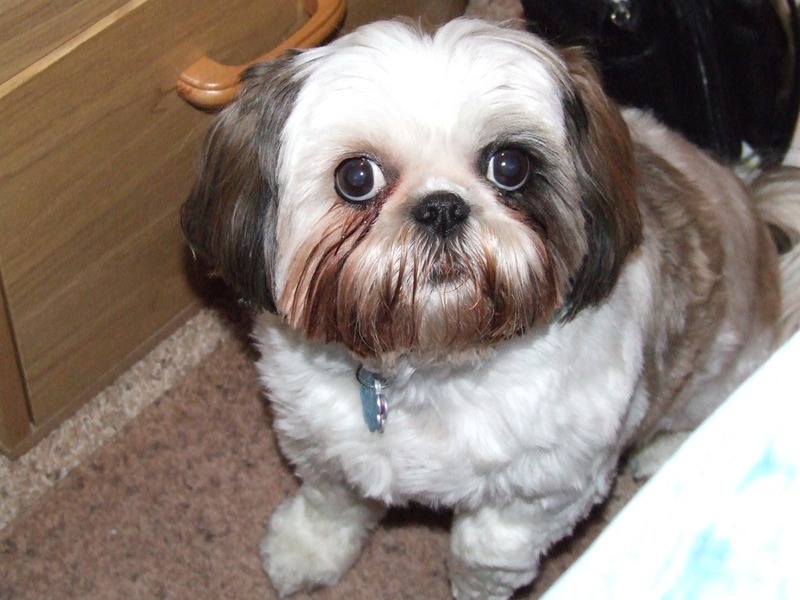 We got a new-to-us “puppy”, Hunter, a 4 year old Shih Tzu to join the Quilt Guardian team. So, he is a Quilt-Guardian-in-Training! 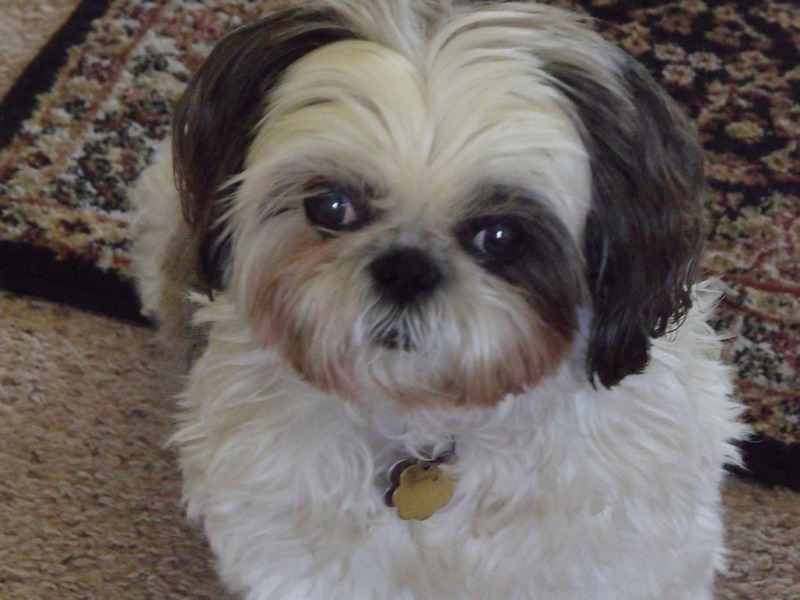 This entry was posted in dogs, Gizmo, Hunter, Quilt Guardians, Quilting, Shih Tzu and tagged Quilt Guardians, Quilting, Shih Tzu.